In this first session, we'll survey several centuries of eclectic and expressive type and hopefully pique your interest for what's to come in subsequent sessions. These dazzling examples will demonstrate the cultural range of typography, the range of styles and movements, and how type not only reflects our visual culture but shapes and directs it as well. We'll also speak with Gail Anderson about her adventures in type as creative director of Rolling Stone magazine. In this session, we’ll trace the Latin alphabet’s evolution from handwriting to metal type to digital formats by looking at the historical conditions in which the type was created. We’ll walk through the historical typeface classifications and discuss each one with plenty of gorgeous examples. Finally, we’ll speak with designer and calligrapher Ina Saltz about calligraphy’s influence on typeface development and the important of calligraphy and hand lettering today. In this session, Principles and Basics, we’ll get down to the nuts and bolts of typographic anatomy: the names of parts of letterforms, typesetting terms, and why typographic hierarchy is so critical in design. We’ll discuss how Positive/Negative space works, the emotive vs. literal qualities of letterforms, and the way type is joined at the hip to technology. And finally, we’ll explore the importance of type in all other design disciplines, and creative director Debra Bishop will pop in to demonstrate some general rules for using type in your work. In this session, New Directions in Typography, we will pick up typographic history where we left off around the 1980’s in our first session, continuing forward with an exploration of typography in the 21st century. We'll also speak with Dan Rhatigan about exciting developments currently unfolding around type. Understanding of the development of symbolic written language and the Latin alphabet. Ability to recognize how type influenced and was influenced by major movements in art and design. Ability to recognize the characteristics of the major historical typeface classifications. Understanding of the fundamentals of typography anatomy and basic rules for working with type. Understanding of how the evolution of type is deeply interconnected with the evolution of technology. Ability to explore new and upcoming developments in type, from analog type revivals to generative and interactive typefaces. Steven Heller is an author, art director, educator and blogger. For 33 years he was a senior art director at the New York Times, originally at the OpEd page and then the New York Times Book Review. He is the co-chair and co-founder (with Lita Talarico) of the SVA NYC MFA Design / Designer as Author + Entrepreneur program. He co-founded the SVA MFA Products of Design, MFA Interaction and MPS Branding programs. He was the co-director of SVA's Modernism & Eclecticism: A History of Graphic Design symposiums. The author or editor of over 175 books, including Design Literacy, Graphic Design Rants and Raves, Graphic Style, 100 Ideas That Changed Graphic Design, Typology and the Typography Sketchbooks. He is the recipient of the 2011 Smithsonian National Design Award for "Design Mind," the 1999 AIGA Medal for Lifetime Achievement, the 2016 Eric Carle Award, The Society of Illustrator's Art Direction award, The Art Directors Hall of Fame Educators Award, the Pratt Institute Hershel Levit Award and two honorary Ph.Ds from College of Creative Studies in Detroit and the University of West Bohemia in the Czech Republic. 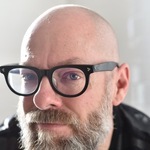 He has appeared in over 20 documentaries on design and political art and has written over 100 introductions and forewords for books on design and illustration. Angela Riechers is an award-winning writer, art director, and educator. She writes primarily for design-related publications, including Monotype Recorder, Print/HOW, Wallpaper, AIGA Eye on Design, Metropolis, and Design Observer. Over the course of her career as an editorial art director, Angela designed and contributed to a number of national magazines including Harper’s, O the Oprah Magazine, the New York Times T Magazine, Martha Stewart Living, and More, to name a few. She teaches typography and Design and Visual Culture at the Fashion Institute of Technology and the School of Visual Arts, and previously taught graphic design and architectural criticism at the City College of New York and New York University. Angela is the recipient of an AOL Artists grant for Sites of Memory, a multimedia project that reattaches forgotten narratives to their original locations in New York City through audio guided walking tours and map-based archives. In 2014 she developed and launched Typography as Language for SVA, a four week summer intensive in typeface design now entering its fourth year. Ina Saltz is an art director, author and professor (at The City College of New York) whose areas of expertise are typography and editorial publication design. 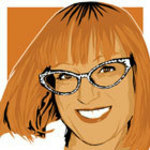 Ina is the author of the lynda.com course series "Foundations of Typography." Her book "Typography Essentials: 100 Design Principles for Working with Type" is in five languages, and her "Body Type" book series photographically documents typographic tattoos. Ina is a co-author of "Typography Referenced: A Comprehensive Visual Guide to the Language, History and Practice of Typography." A graduate of Cooper Union, Ina served as the Design Director at TIME magazine's international editions and is a three time board member of the Type Directors Club. She is a well-known denizen of the alternate universe of deep type geeks. 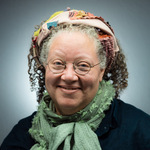 Gail Anderson is a designer, writer, and educator. She is currently the Creative Director of the Visual Arts Press at SVA. From 2002 through 2010, Anderson served as Creative Director of Design at SpotCo, creating artwork for Broadway and institutional theater. From 1987 to early 2002, she worked at Rolling Stone, as designer, deputy art director, and finally, as the magazine’s senior art director. Anderson is co-author, with Steven Heller, of over a dozen books on design and typography, and she has taught at the School of Visual Arts for over 25 years. Anderson is the recipient of the 2008 Lifetime Achievement Medal from the AIGA, and serves on the Citizens' Stamp Advisory Committee for the USPS.